Hi, I'd really love to see Mortal Kombat 3 released! I'd like to find the 'Character Select' and 'Animality' jingles ripped in the release too, if possible! How different was music from Mortal Kombat 3 to Ultimate Mortal Kombat 3? If they are the same with the addition of some tracks I might do Ultimate for a nice 2-in-1. 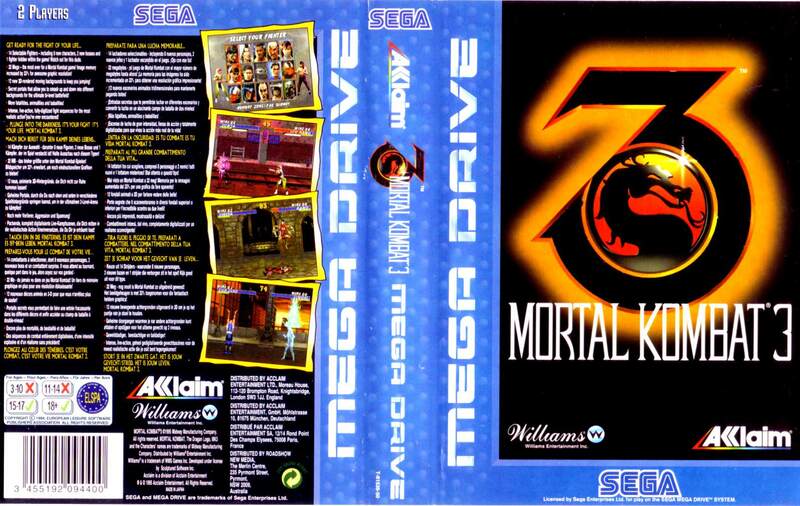 (27-03-2018, 01:40 PM)donluca Wrote: How different was music from Mortal Kombat 3 to Ultimate Mortal Kombat 3? I believe the tracks are the same for both versions. Although I think UMK3 omitted 'The Street' music. A 2-in-1 sounds like a better idea in lieu of either of the two (if only for the cover art). Otherwise, if I'm mistaken, and the tracks are the same for both versions (or UMK3 has more tracks), then I would change my request to UMK3. Whichever has more tracks. I'll check this when I have a bit of time on my end. If UMK3 is just MK3 with more tracks, then I'll just do UMK3 and call it a day. If someone wants a "pure" MK3 release they can just delete the extra tracks exclusive to UMK3 and change the tags accordingly.